Intended for sealing fine cracks and penetrations in concrete and masonry structures prior to coating with Lucas 2000. Also suitable for topical repairs to masonry walls and roofs. 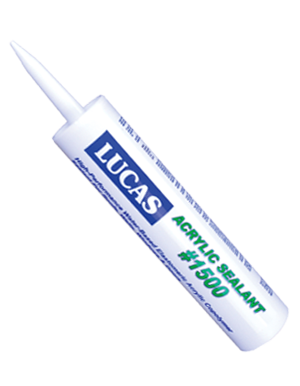 Lucas 1500 is formulated from 100% acrylic polymers. This is a water-based material and must be kept from freezing.